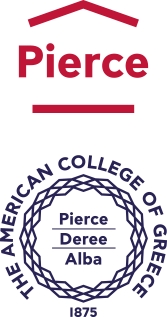 The American College of Greece | Green Careers event at Deree! Home » News & Events » News » Green Careers event at Deree! Green Careers event at Deree! On Tuesday, March 20, students from the Deree Environmental Studies (ES) program and other majors, Study Abroad students, and Pierce IB students gathered at the JSB Upper Level Library for the ‘Green Careers: Graduate Studies and Job Opportunities’ event. 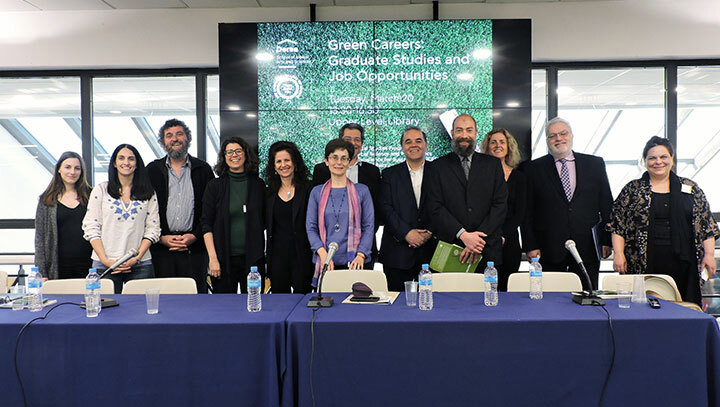 The event was divided into two panel discussions, one on education and the other on career prospects, where experts from related fields presented the options available to students in the field of ‘Green’- and sustainability-related continuing studies and careers. “It was a very informative experience that helped me discover new things and reevaluate my future in the field of Environmental Studies”, says student Ariadni Athanasiou. 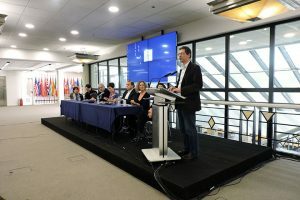 The panel on education offered the participants a more general picture on how to apply for graduate studies and the tools needed for accessing and assessing the information that is out there, as well as a more detailed one with the options available in Europe, US, and Canada. The panel on job opportunities included top executives from Enviroplan S.A., TUV Hellas, the NGO Archelon, the Office of Career Services, and an environmental activist with hands-on, global, experience of more than 25 years. Nikolaos Synetos, a senior in the ES Program, was positively surprised as the event was nothing like he expected. “As many of us are seniors of the Environmental Studies program, we were all concerned about the future ahead. Honestly, I believed the careers day would more like presenting job or internship positions but I am glad it wasn’t. Instead, all of the presenters provided us with the framework on looking at our future, insisting on following our passion but at the same time exploring other fields and seizing the opportunities. Definitely worth it!” he says. 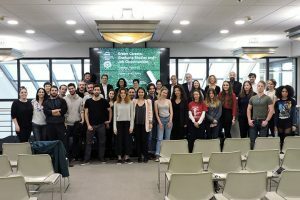 The event was organized by the Environmental Studies program, Department of Science and Mathematics, and the Center of Excellence for Sustainability (CES) at the Office of Public Affairs, and was supported by the Office of Career Services and the Environmental Studies Society.